In an article in the Post on "oddball bills" in the Virginia legislature (Pickle sellers, crank calls could get a hearing in Va. General Assembly), there is mention of a bill (House Bill No. 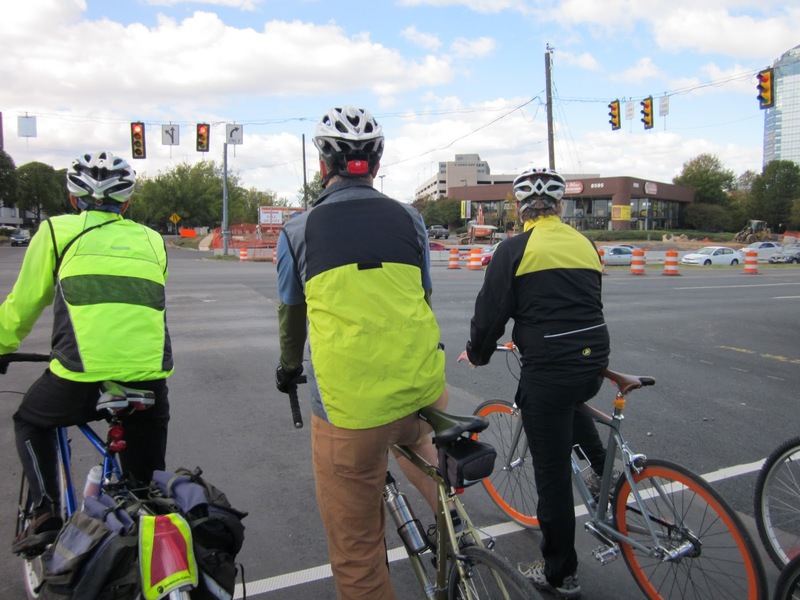 7) that would "free bicyclists who approach red traffic lights from the need to — who knew? — wait two minutes before pedaling on." At first we and others thought this might be an implementation of the Idaho Stop, in which cyclists can treat a stop light as a stop sign. However, upon reading the proposed bill, it appears it is only an attempt to separate the treatment of motorcyclists from bicyclists. Last year a bill was passed (46.2-833, Traffic lights; penalty) that would allow motorcyclists and bicyclists to proceed through a stop light that doesn't change to green if they stop and wait for "two complete cycles of the traffic light or for two minutes, whichever is shorter." The proposed bill would change the wording of the existing bill to remove bicyclists from one section and add a new sections just for bicyclists. The downside is that the new wording excludes the "two complete cycles two minutes" phrase, making conditions worse for bicyclists. According to the Post, "The gen­esis of a bike measure from Del. James E. Edmunds II (R-South Boston) is less certain. He did not return e-mail and phone messages seeking comment." B. Notwithstanding any other provision of law, if a driver of a motorcycle or moped or a bicycle rider approaches an intersection that is controlled by a traffic light, the driver or rider may proceed through the intersection on a steady red light only if the driver or rider (i) comes to a full and complete stop at the intersection for two complete cycles of the traffic light or for two minutes, whichever is shorter, (ii) exercises due care as provided by law, (iii) otherwise treats the traffic control device as a stop sign, (iv) determines that it is safe to proceed, and (v) yields the right of way to the driver of any vehicle approaching on such other highway from either direction. Notwithstanding any other provision of law, if a rider of a bicycle approaches an intersection controlled by a traffic light, the rider may proceed through the intersection on a steady red light only if the rider (i) comes to a full and complete stop at the intersection for two complete cycles of the traffic light, (ii) exercises due care as provided by law, (iii) otherwise treats the traffic control device as a stop sign, (iv) determines that it is safe to proceed, and (v) yields the right of way to the driver of any vehicle approaching on such other highway from either direction. Bruce, the change actually keeps "two complete cycles" and eliminates the "two minutes" wording, which is much worse for cyclists than the other way around. Most signal cycles in Fairfax County are 2 to 3 minutes long, some as high as 4. It is not reasonable to expect a cyclist to spend 6 to 8 minutes of a trip waiting at one intersection. Thanks Pat. I've changed the text. I knew the two minutes phrase was missing but mistyped and put two complete cycles. Someone else pointed out that some lights may not even cycle if there is no cross traffic, hence the added importance of the two minute provision.